Built in the 17th century on the initiative of the Barefooted Carmelites on a project by Baldassarre Longhena. A masterly example of baroque art where a work by G. B. Tiepolo is still visible on the vault of the left aisle that had originally also frescoed the ceiling. Now only the sketch remains of Tiepolo’s fresco and a few fragments kept in the Accademia Gallery. 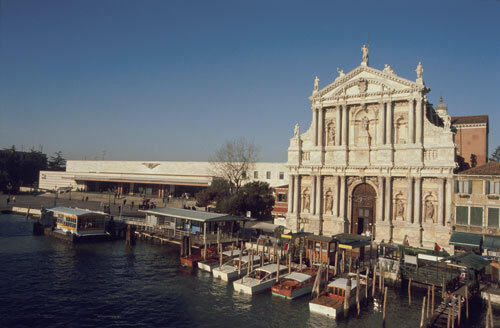 The facade, a work by Giuseppe Sardi, is the only one in Venice made of Carrara marble.